Hamlet’s Father is dead. His Mother has married his Uncle. His girlfriend’s Dad says they can’t be together. And then the ghost turns up… Blue Apple Theatre re-invent the world’s greatest play in a fresh, fearless and funny adaptation using Shakespeare’s original language. Think you know Hamlet? Think again! 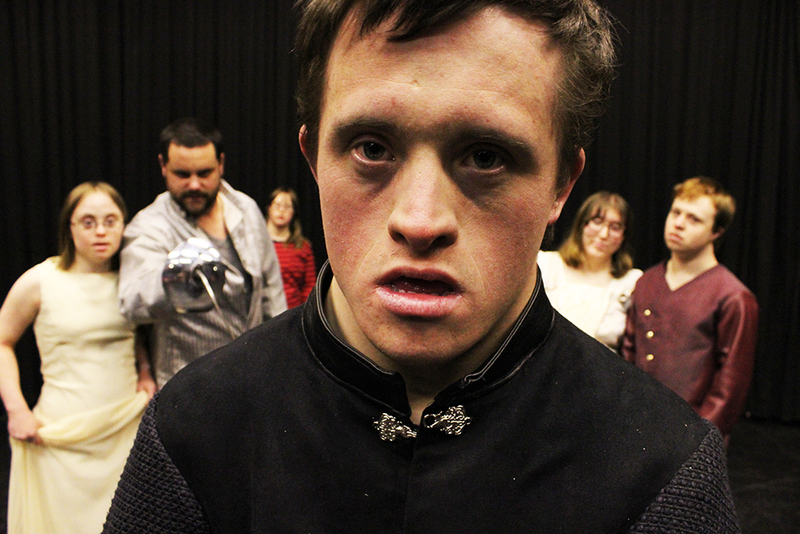 Tommy Jessop, Anna Brisbane, James Elsworthy, Katy Francis, Lawrie Morris and Ros Davies have toured their unique re-imagining of Hamlet to mainstream theatres and arts venues across the South. Now they return to Winchester to join the full company production of Hamlet at Theatre Royal Winchester. Blue Apple Theatre presents its extraordinary new vision of Hamlet to mark the World Shakespeare Festival and join in with the Cultural Olympiad, celebrating the talents of our actors in one of the greatest plays in the world. Blue Apple’s first acquaintance with Shakespeare came two years ago, in the summer of 2010, with the promenade production of ‘A Midsummer Night’s Dream’. 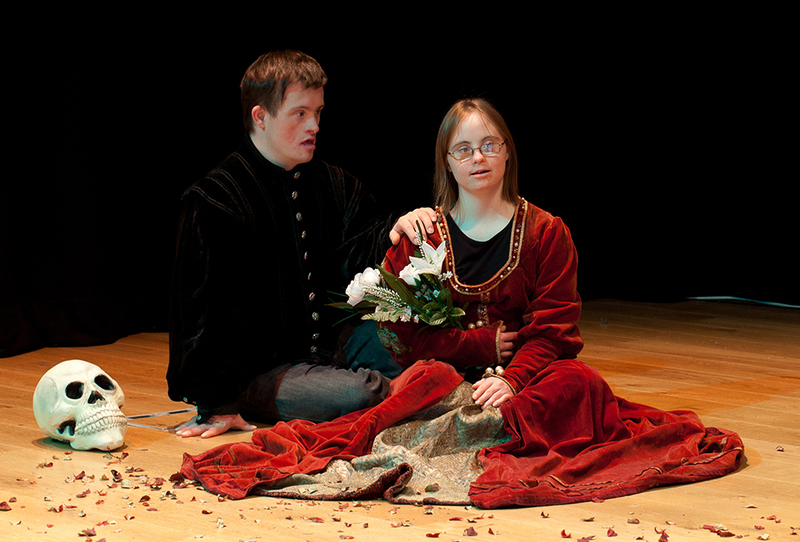 Performed in and around The Tower Arts Centre, Winchester – with scenes in car parks, woodland, a studio, foyer and the theatre – the production gloriously re-invented Shakespeare’s world of magic, romance and intrigue; and placed it very firmly in the 21st century. Since then the company has grown enormously. In terms of membership; but even more so in terms of ambition. This growth is fuelled by the desire of those involved to have a say in what is going on in this world of ours and to actively play a part within our society. Shakespeare’s words have swept across 400 years of history. They have been translated, and played, around the globe. Their universality is legend. With ‘Hamlet’ he was writing, ultimately, a play about someone trying to find their voice, their place in this world. And, with regard directly to the character of Hamlet, he does finally find it. But, fundamentally, it is too late. This is simply Blue Apple’s attempt to identify with these themes, and to claim these words, in our own particular way, as something that can speak to all of us. Before it is, indeed, ‘too late’. Too late to speak of people who are marginalised or disenfranchised because they don’t ‘fit in’. It is, undeniably, a cliché but, Hamlet’s ‘to be, or not to be’ still remains the fundamental question. “An extraordinary triumph. A play within a play, a drama in which brave individuals dare to cross boundaries and open doors previously closed to them?" 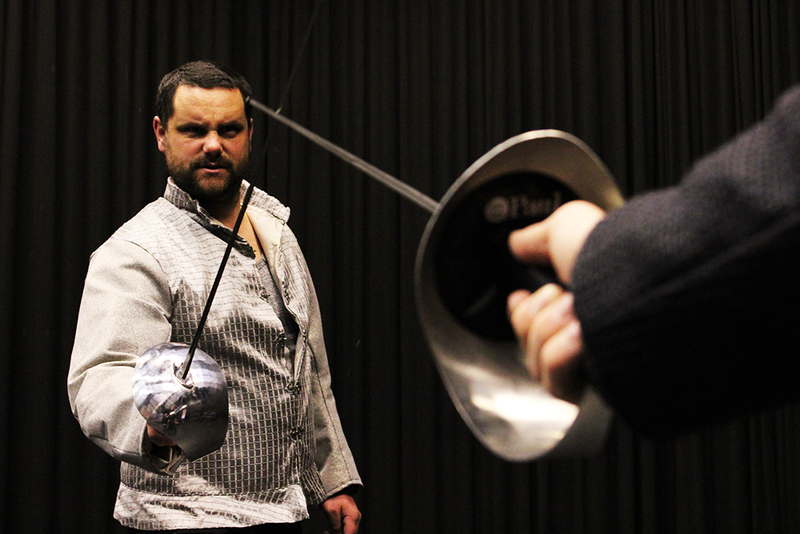 "Tommy Jessop and the excellent cast of the Blue Apple Theatre Company held me spellbound throughout their performance of Hamlet at Normansfield Theatre. I was enraptured from the opening scene, very rapidly drawn into the story and able to forge a connection with the characters. I was particularly impressed with the cast’s interpretation and delivery of their lines in the original language of Shakespeare. It became clear that the cast had a real and profound connection with the work and that they deeply felt the emotions they were portraying. Tommy Jessop’s delivery of the scene in which Hamlet encounters his uncle Claudius at prayer and debates whether or not to kill him was superb. You could hear a pin drop! 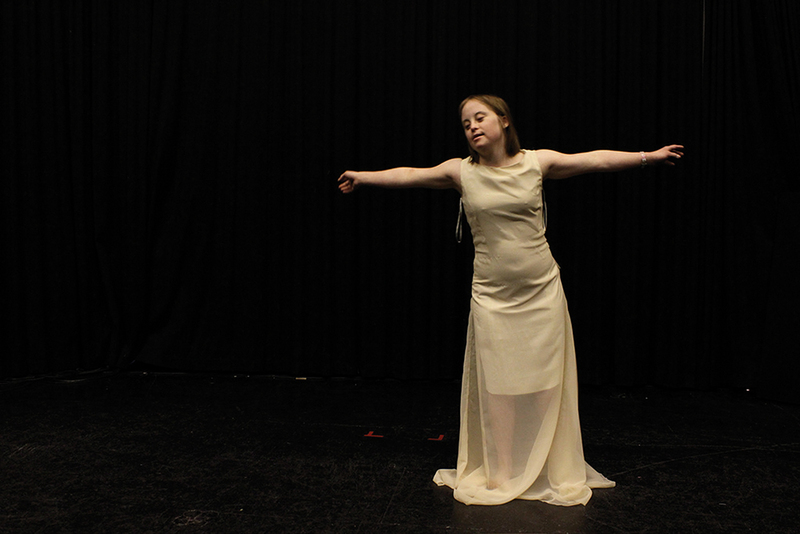 Katie Francis’ portrayal of Ophelia as she descends into madness was truly heart wrenching. I heard one of my fellow audience members say ‘I didn’t understand Hamlet but now I do’. I believe that Dr John Langdon Down would have approved."